January 25, 2014 | Lens cap....off! I love those days that just flow. No drama. No catastrophes. Satisfying. I don’t have many of those days, so I’m enjoying mine. Things started to wind down as the sun was beginning to set. I love the way the light changes when this happens. It would be great to bottle it and sell it, but I’ll have to settle for trying to use it for an interesting picture. As soon as the light began to change in the house I grabbed my camera. I needed a break from tidying anyway. 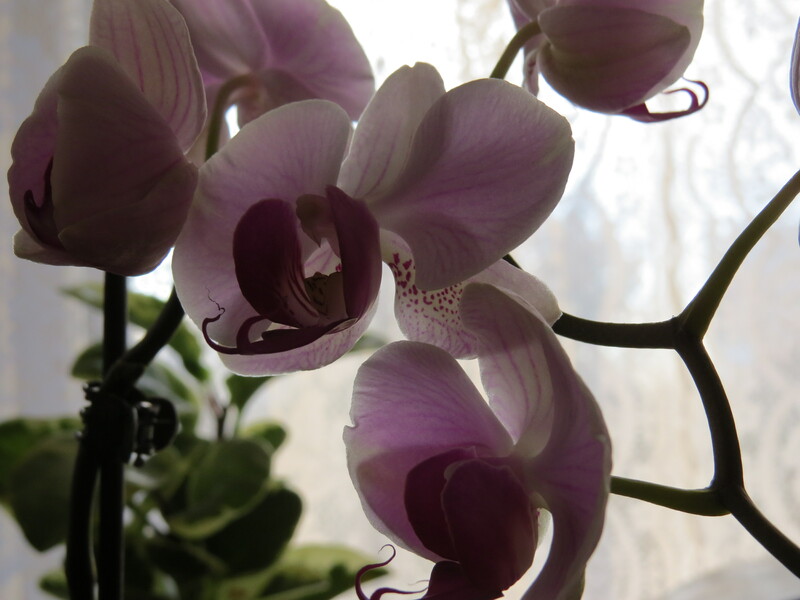 I went back and forth between the manual and auto setting on my camera and used the two second timer to get this picture of my orchid.